World’s largest coal consumer’s big challenge to lower climate-changing emissions. Though economic expansion is slowing in China, the country is still growing over $US 700 billion annually, almost twice the growth increase in the United States. 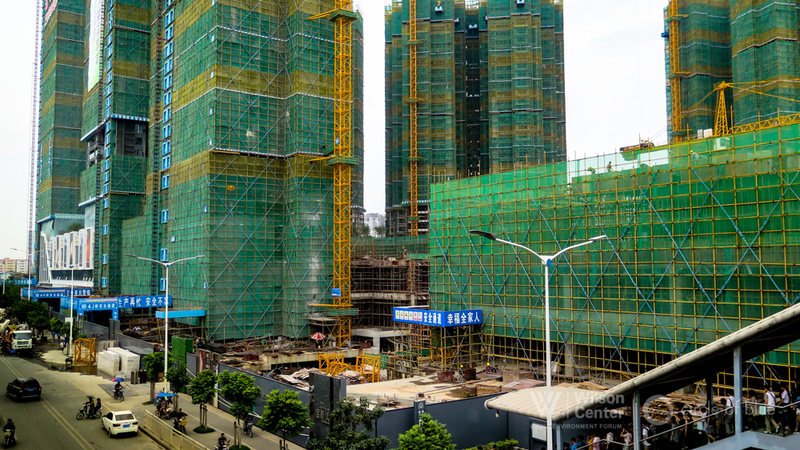 Demand for energy to build and operate mammoth residential housing projects like this one in Shenzhen remains strong, though more of the region’s electricity is produced from natural gas, nuclear, and renewable power sources. Click image to enlarge. Sixty years ago the basic elements at the center of political and ecological concern were uranium and plutonium. Reckless Soviet and American atomic bomb blasts put so much deadly radiation in the atmosphere that milk and water became contaminated. Nations heeded the warnings of scientists and a global treaty to ban atmospheric testing was signed in 1963. In the 1970s and 1980s the world came to recognize the malignant hazards of chlorine and its various chlorinated compounds used to manufacture pesticides, plastics, and coolants. A hole in the ozone opened over Antarctica. An industrial accident in Bhopal, India killed thousands of people. Trace residues showed up in food, in breast milk, and contaminated groundwater from leaking toxic waste dumps. Chlorine-based products were banned. Cleanup programs were instituted. Industrial safety improved. Today, the world is steadily coming to agreement that carbon is the chemical compound putting life and economies at risk. Rejecting the views of the fossil fuel industry and their political allies in the United States, most national governments now heed the warnings of the climate-altering capability of carbon and are pivoting away from fossil fuel, its principle source. The shift starts with coal and is beginning to encompass oil. Coal production in the United States and western Europe is declining. Oil consumption in both regions is flat. Prices are sagging. Mexico banned new water drilling permits for shale oil and gas development near the Rio Grande Valley. Wind and solar electrical generating capacity is climbing quickly. A number of nations are developing new market signals and regulatory programs to reduce consumption of coal and oil, and to encourage cleaner energy alternatives. World leaders are set next month to converge on Paris to negotiate the first international agreement to limit carbon emissions. As part of our Global Choke Point project, the China Environment Forum, a program of the Woodrow Wilson International Center for Scholars, and Circle of Blue are closely studying trends in energy and water supply and use in two Pacific port cities –Shenzhen, China and Oakland, California. The Choke Point: Cities project builds on five years of multimedia reporting and convening that examined the water-energy-food confrontations in China, Australia, the United States, India, Mongolia, and the Arabian Gulf. Like other port cities, Shenzhen and Oakland are growing and face tightening water and energy choke points that have prompted differing consequences. 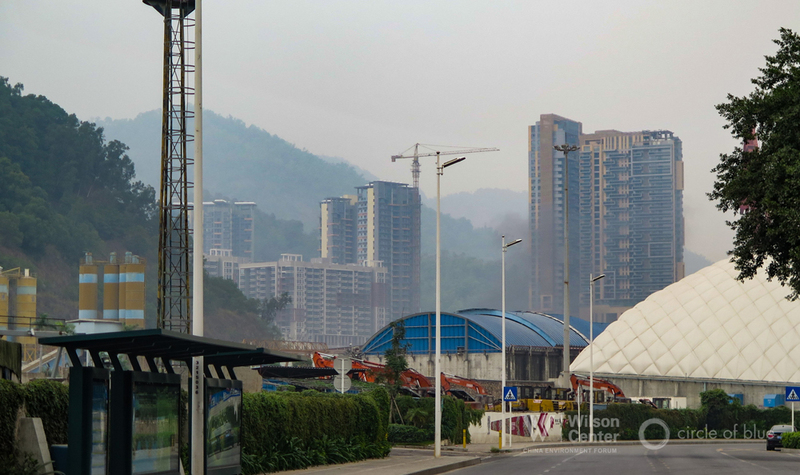 Shenzhen only recently started to tilt to cleaner, less water-consuming energy development. Oakland, we found earlier this year, is among the leaders in the United States in energy efficiency, water conservation, and alternative energy production. The city’s municipal waste water treatment plant, for example, processes organic waste to generate most of its electrical power demand. 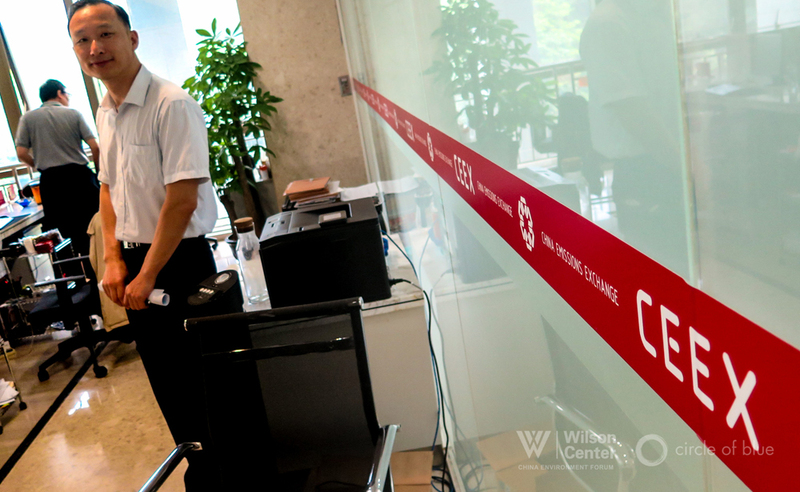 The Choke Point: Cities project also includes a U.S.-China research exchange that next spring will convene research and policy stakeholders from both countries to write briefs, discuss solutions, and work to identify areas of U.S.-China collaboration. In the United States, in an especially telling example of the global shift on fossil fuels, President Obama earlier this month rejected the Keystone XL oil pipeline, and ExxonMobil is being investigated for securities fraud. The company is charged with hiding its own scientific studies about the carbon emissions threat, and spending millions of dollars to protect its fossil fuel holdings by supporting lawmakers and interest groups that marketed the false idea that climate change is a scientific hoax. Still, on the global resume of a world awakening to an era of ecological and economic reason, China’s new reckoning with the dangerous consequences of carbon stands out. Like a lover escaping the burden of a relationship that has suddenly grown difficult, China is steadily realigning its passion for coal, the largest source of carbon emissions. With an estimated 8.5 billion to 10 billion metric tons of CO2 emissions annually, China produces more of the world’s carbon air pollution than any other nation. Chunmiao Zheng, dean of environmental science and engineering at the South University of Science and Technology of China. “In China more people realize [CCS] is not going to make a big difference because we are producing so much C02. It’s costly to capture and it’s a small part of total emissions. We have to think of some other way.” Click image to enlarge. Here in the Pearl River Delta, home to 60 million people, provincial and municipal governments outlawed new coal-fired power plants earlier this decade and ordered existing coal-fired generating stations to convert to cleaner natural gas. Outside the delta, the Guandong provincial government requires new coal-fired plants to be constructed with globe-leading operating efficiency and emissions levels comparable to natural gas-fired plants. The Guandong Provincial Government last year approved a two-year, $US 3.6 billion energy development program to develop 14,000 megawatts of wind power, most of it offshore. Nearly $US 2 billion is to be spent on solar power. And the $US 23 billion program includes $US 17.6 billion for seawater-cooled nuclear plants. No public investment is planned for coal-fired plants. Other carbon-reducing initiatives include the bus fleets propelled by batteries, overhead electric lines, and natural gas that operate in Guangzhou and Shenzhen, the province’s two largest cities. Some of the tallest, most energy-efficient office towers in the world have been completed or are under construction in both cities. Two new carbon emissions trading markets, intended to eventually reduce carbon emissions, operate in Guangzhou and Shenzhen. Either could become the model for the national emissions trading market that China’s President Xi Jinping announced in September during his visit to Washington. The coal cap, carbon sequestration, fresh investment in cleaner alternatives, and intensifying focus on energy efficiency and emissions trading markets are an unmistakable change from the disdain that Chinese officials expressed as recently as 2009 when Circle of Blue began its Choke Point: China project. At that time, domestic and international concerns about the country’s dangerous air pollution, climate change, or the risks that coal production and use presented for water supplies and quality were dismissed as interference in China’s development. Shenzhen’s municipal leaders today talk at length about their responsibility to point development to greener and cleaner industries. This city’s economy is shifting from manufacturing to cleaner information technology businesses, software development, and professional services. The carbon emissions reduction measures it is now undertaking are intended to clean up environmental conditions to attract young and educated entrepreneurs. Xi Liang, the founder and secretary general of the UK-China CCUS Center in Guangzhou, China. “We have a limited amount of time. We have to develop alternatives.” Click image to enlarge. They also form new lines on the MRI of China’s understanding of the ties between economic development and a safer environment. It is as though Shenzhen and other big Chinese cities are emerging from the dark joy of self-denial about the consequences to air, water, health, and the economy from building a juggernaut economy that, according to newly revealed Central Government data, consumes 4 billion metric tons of coal annually. Xi Liang, a 33-year-old finance and energy policy expert who was raised in the Pearl River Delta and trained in the United Kingdom, is one of the young Chinese authorities leading the country’s shift on carbon. Two years ago he helped to found, and became the secretary general of the UK-China CCUS Center, a two-nation collaborative project to develop ecologically safe and economically affordable techniques to capture and sequester large amounts of C02 from power plants. Liang is among the senior managers of a carbon capture demonstration project being installed in China Resources Power’s new Shanwei Haifeng generating station in Xiaomo, a fishing port of 13,000 residents along the South China shoreline east of Shenzhen. The first of the plant’s 1,000-megawatt generators opened earlier this year. 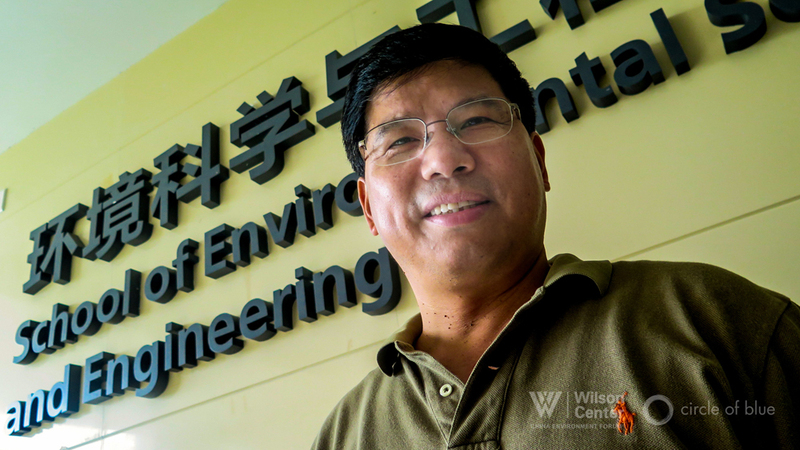 Engineers are designing three technologies to capture 250,000 metric tons of carbon dioxide annually from flue gases from the seawater-cooled plant, Liang explained. What is driving China’s emerging urgency about carbon, Liang said, is a potentially ruinous economic and ecological race with the hazards of coal that the world’s largest nation could very well lose. China also recognizes that its coal endowment fueled the rapid development of an economy now valued at nearly $US 11 trillion annually, second only to the United States. China’s coal production, 4 billion metric tons a year according to the latest data, is four times the production in the United States, the second largest producer. Coal is processed for chemicals and liquid fuel. It is combusted for heat and electricity, steel and glass and cement. Though China is diversifying its energy production by constructing the world’s largest non-carbon energy sector — wind, solar, hydropower, geothermal power, and nuclear energy – coal is still projected to supply over 70 percent of the nation’s energy demand for decades. Shenzhen established the Carbon Energy Exchange, one of seven carbon emissions trading markets operating in China to begin reducing carbon emissions. China promised in September to establish a national carbon emissions market, which could be based on trading practices that are proving valuable in Shenzhen. The authorities in his field of expertise, says Liang, are like oarsmen pulling hard against a powerful current. For the time being, Chinese authorities display every intention to continue mining and using their domestic coal reserves. Somehow, some way, China needs to develop technology and practices to limit the damage, says Liang. He describes his group’s goal with a healthy amount of righteous zeal. “In China we say a journey of a thousand miles starts with the first steps,” said Liang. “First you need to demonstrate that the technology works. You need to give government and industry the confidence and the understanding of how much it costs. For carbon capture, it takes three years to develop the technology. For storage to be credible it takes five years, maybe ten years to prove it works. Just as significant is whether capturing and storing carbon from electrical plants will really make any difference in slowing climate change. 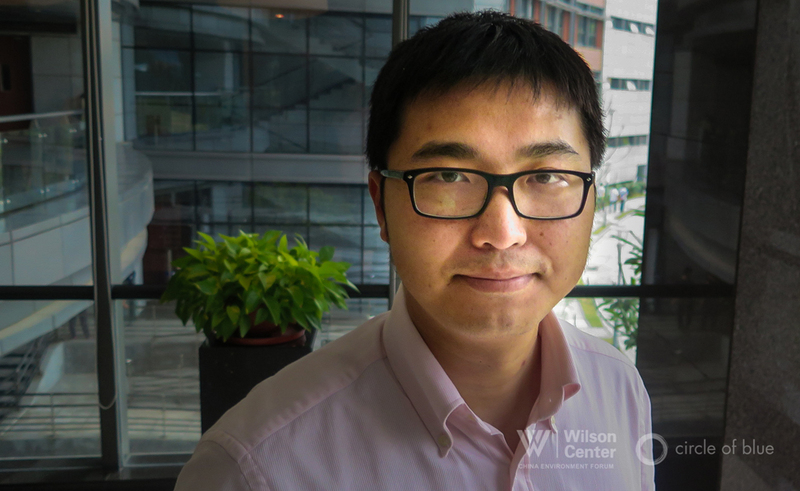 In Guangzhou, Liang and his colleagues take a different view. They are convinced that carbon capture and storage are at least part of the solution. The gas captured at the Shanwei Haifeng power plant is meant to pressurize old wells and increase production in a waning China National Offshore Oil Corporation oilfield in the South China Sea. Engineers are studying the deep geology of the oilfield and working their way to suggesting a suitable well for carbon dioxide disposal. Chinese-built ships will transport 250,000 metric tons of CO2 annually from the demonstration project to the well. If the early steps are successful, China Resources Power executives say they are prepared to install the technology on unit three of its new plant and transport 1 million metric tons annually, by pipeline, to the offshore oilfield. That represents 15 percent of the new generator’s annual C02 emissions. The new 1,000-megawatt generating unit has not been approved by Guangdong Provincial authorities. The risky and expensive Shanwei carbon capture and storage project is among the first to try using offshore oil wells as a repository for carbon wastes. The Global CCS Institute, an Australia-based trade group, reports that 15 industrial-scale carbon capture and sequestration projects are operating around the world. Shenzhen and neighboring Guangzhou outlawed construction of new coal-fired power plants, and required existing plants to convert to cleaner natural gas as a fuel source. Both measures were driven by the recognition that air pollution in both cities is systemic and an impediment to developing an urban quality of life sought by educated and entrepreneurial young professionals. On a typical day office towers and residences are obscured by bad air. The first large CCS project from a power plant began operating last year in Saskatchewan, Canada. Shell is close to finishing a $US1.35 billion CCS project to capture and store 1 million metric tons of carbon dioxide from its tar sands refining plant in Alberta, Canada. Southern Energy is closing in on finishing a 582-megawatt coal-fired plant in Mississippi that is designed to capture and store 3.5 million metric tons of C02. The nearly $US 6 billion power plant is years overdue and more than $US 3 billion over budget, according to a research group at the Massachusetts Institute of Technology. Scientific interest in capture and storage dates to the 1970s. And C02 produced from natural geologic sources has been used to recharge old oil fields for decades. The small surge in industrial and demonstration projects in the United States, the United Kingdom, and China embodies the national and industrial interest in perpetuating coal consumption by preventing carbon from doing more environmental damage. But the fate of CCS technology is troubled. Its potential risks are not yet well understood. And its cost will push coal-fired power to prices above those for cleaner alternatives, which are now competitive with generating energy from conventional coal-fired plants. And then there is the imperial power of history and precedent. The flight of the atom crashed against the insipid risks of fallout, crippled nuclear reactors, and most recently a Pacific tsunami. The global chemical industry backtracked from their assurances of safety when waste products were discovered to be seeping into surface and groundwater reserves all over the world. The chemical industry learned that there is a sharper taste for change when the hazards are real. In very short order during the 1990s, companies altered production practices, changed product lines, and cut waste and pollution at the source to sharply reduce health and ecological risks. Not long ago the hazards of carbon were seen as whimsy in China and a good portion of the developed world. How quickly that attitude is changing. Evana Su assisted in Guangzhou and Shenzhen in reporting this article.